Just because the Holidays are over doesn't mean you have to stop giving, especially if you are giving the gift of reading. 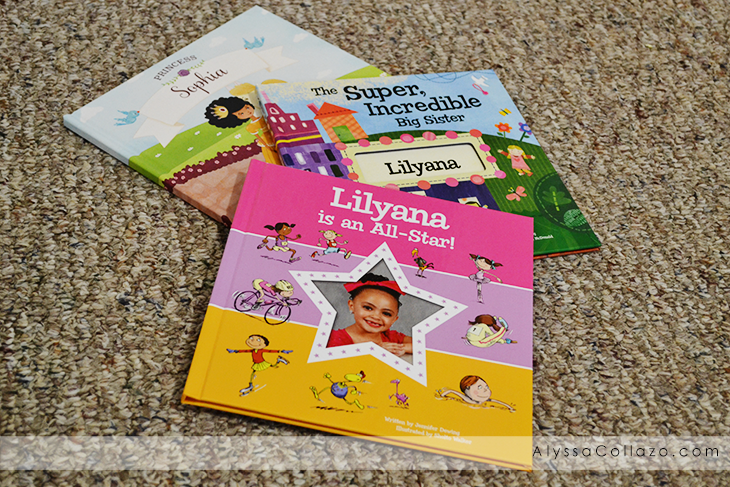 Now let's talk about personalized books from I See Me! Books about big sisters/brothers, sports, princesses, pirates, birthdays and so much more. I See Me! publishes very high quality personalized children's books that build self-esteem by celebrating the uniqueness of each child. Creating your own personalized book is simple. Just submit a form with your child's name, birthday and a few other details and place your order. I See Me! does all the rest. It's that easy! Within a few weeks, you'll have a new storybook where your son is an adventurous pirate or you daughter is the star of her very own fairy tale. With that being said, I See Me! is giving one of my lucky followers the chance to win any I See Me! Personalized book. These books make the perfect gift for any occasion and can be treasured for many years. One (1) winner will receive: An I See Me! Personalized Book. Ends 1.21.2016. Those are so cute. I am a major sucker for anything personalized - especially when it has my kids names! I love this giveaway! Personalized books are so much fun for the kids, and they can really get the kids motivated to read. Personalized books is something I would love to give to my child. He always has a hard time finding his name in anything. I see me has some wonderful personalized books. I have a personalized pirates book for my middle child. I love these cute little personalized books. My grand daughters have a Birthday coming up and I need to check out which would be best for them. You’re right when you say that our giving attitude shouldn’t stop after the holiday season. This is a great gift. My kids always loved personalized items, like I did. And books are always a really great gift. This looks like such a cook book!! I know I would have loved book with my pic on it when I was a kid! Since I do not have small children anymore, I would share this post with my cousins and friends who still have little children. I wish there were books like these when I was a child! I love the "it's fancy to be me" story book, thanks for the chance! I would get my son the My Very Happy Birthday Book for boys. I'd choose Goodnight Little Me! My granddaughters love the I See Me books. I love personalized stuff. I love personalized books for children. We have a couple of these and my daughters just treasure them! I so love personalized books. I think they are a super smart idea, and a great way to encourage kids to read more. I really love these personalized books. They really seem to draw the kiddos in an peak their interest in reading! I would love to have the Who Loves Me? Personalized Book for my son! I think my grandson would absolutely love the My Very Own Pirate Tale Storybook! This would really get his imagination going. I got a few of these books for my kids and niece's, they love them. They make great gifts for brithdays and holidays. I would pick the Who Loves Me book!